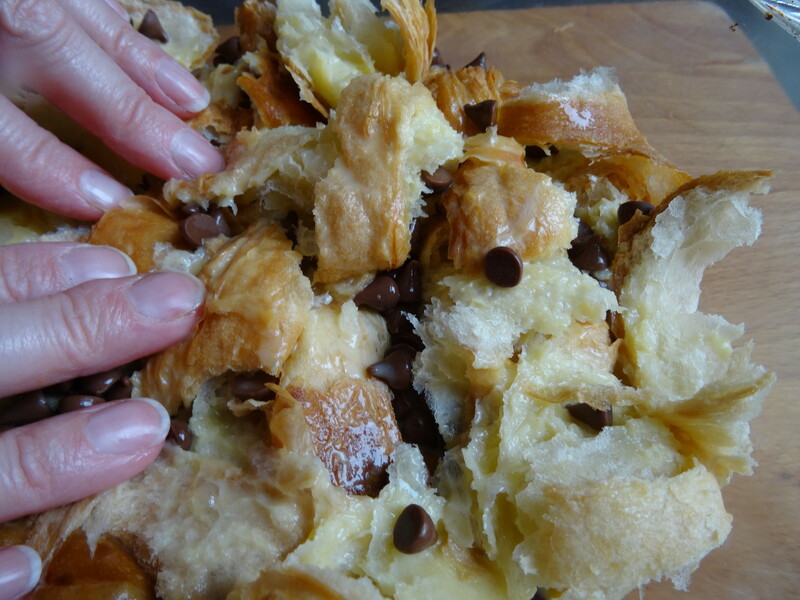 A lovely comforting pud, use either stale leftover croissants or check your local Lidl where you can buy 4 for 69p! 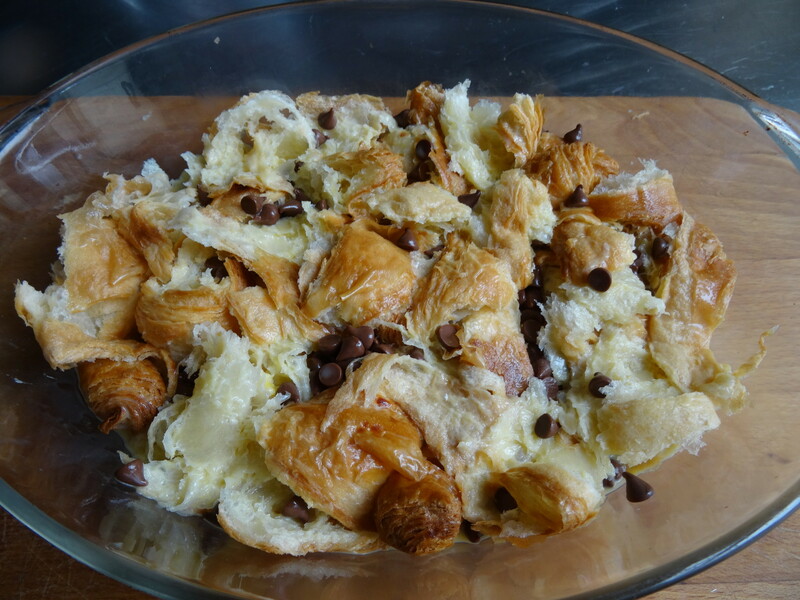 Use raisins or sultanas instead of chocolate chips if you prefer. Tear the croissants into pieces & place 1/2 in the bottom of an ovenproof dish. 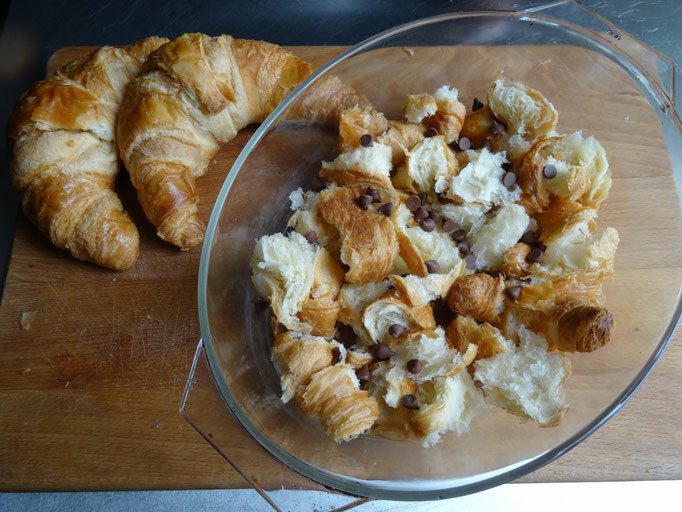 Scatter over 1/2 the chocolate chips then repeat with the rest of the croissants & choc chips. Mix together the eggs & sugar then stir in the milk. 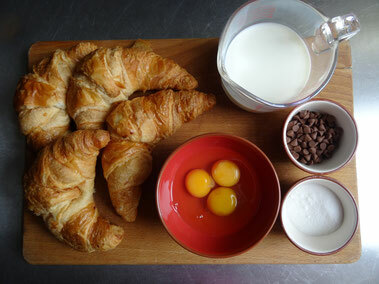 Pour the mixture carefully over the croissants then push down on them gently to make sure everything gets nice & soggy! Bake for 30-35 minutes until the custard is set & the top is golden & crusty. 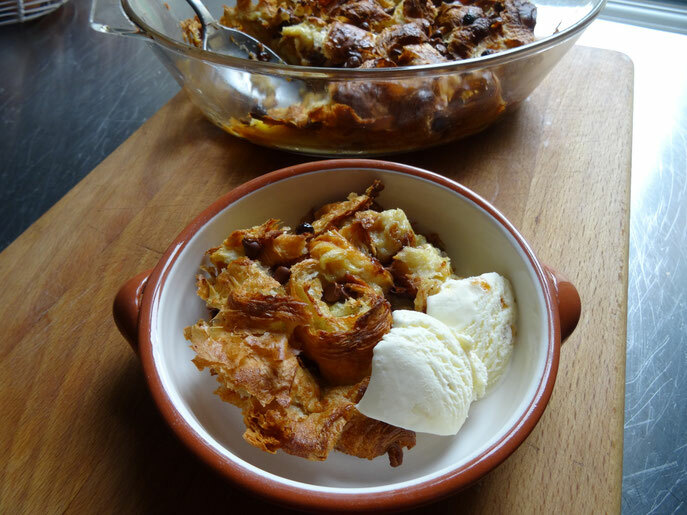 Serve hot with cream or ice cream!